Flappy Bird meets 2048 in this fun mash-up. We wanted to believe the concept of adding the word "flappy" to one's video game title had died, but apparently not, because now there's Flappy 2048. As you might assume, this free-to-play title blends elements from both Flappy Bird and 2048. You don't download it. Instead, it's free-to-play in your browser of choice, and the rules are simple. 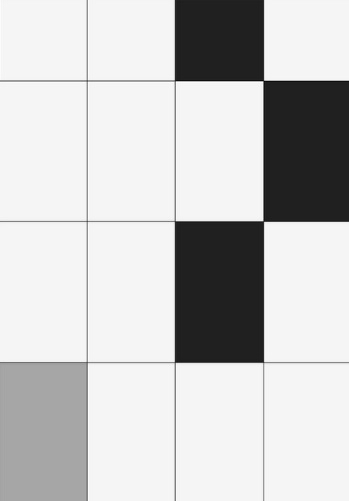 Click to keep the box in the air, and match the number inside to the corresponding number on the next vertical row of blocks, essentially doubling it. Hit the wrong one or touch the ground, and it's game over. Don't succumb to the pressure. Dominate the game with these tips. 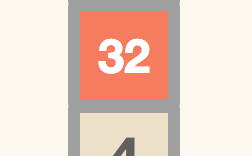 Meanwhile, click here to play Flappy 2048. You're free to play Flappy 2048 on whatever device you want, but we strongly suggest a Mac or PC. It's much easier to click instead of tap, you'll have a much larger screen and ads won't get in the way. This lets you make a split second decision (up or down) within a minimal number of taps or clicks. Going from the very top to the bottom, or vice versa, is a surefire way to fail. Once you reach a certain point, those vertical rows of blocks begin to move. Make note of that and always watch out for the matching number. You won't have much time to react. You always want to match the number inside the box with the same one in the row. Doing this causes your number to double, and you basically repeat the process until things go awry. Have an eight? Look for another eight, not 16. It'll become 16 once you match the eights.